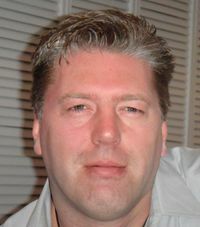 Julian Lefay (also known as Julian Jensen) is one of the most important people in the early development of The Elder Scrolls as a series, sometimes even credited with being its father. This is due to his high profile during the early development of the series, and comments by Ted Peterson that Lefay "spear-headed the initial development". This was really needed as, up until that time, Bethesda had never released a Role-Playing Game. Eventually, Arena developed into the most award-winning Role Playing Game of 1995. Lefay was born on Oct. 30, 1965 in Denmark. During the early 1980s, he began programming and quickly became known as one of the best Amstrad and Amiga programmers during the high period of Commodore's success. His programs have won numerous industry awards in virtually every category. Julian Lefay joined Bethesda shortly after its creation in 1987 and eventually became Chief Programmer. At this time, he was considered by many as one of the key technical people in the entertainment multi-media industry as he combined a rare mix of programming knowledge and computer language skills with proven design capability and music composition experience. This page was last modified on 3 November 2018, at 08:29.